Svetlosar "Zara" Tzanev hails from Ruse, Bulgaria, a city on the Danube River. He holds dual BA degrees in Journalism & Mass Communications and Applied Economics from the American University in Bulgaria. He's been working as a freelance photographer in the Greater Boston area since he finished work on his Masters for the University of Missouri-Columbia School. At Clover Foundation he is helping to implement and document a literacy-based project run by the Global Literacy Collaborative, which includes the MIT Media Lab, the TUFTS Center for Reading and Language Research, George State University and the Dalai Lama Center for Ethics and Transformative Values. 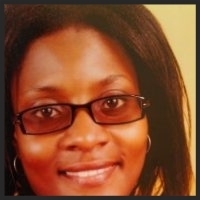 Lillian Komukyeya is a Public Health professional with a clinical background. She is interested in research and monitoring and evaluation of health programs with the goal of improving quality, efficiency and cost effectiveness. Currently working as a consultant for the Immunization Equity Initiative at the Massachusetts Department of Public Health, Lillian is studying for her Masters of Public Health at Northeastern University and received her Bachelor of Medicine and Bachelor of Surgery from Mbarara University of Science and Technology in Uganda. Emily is a compassionate outcome oriented Registered Nurse specializing in healthcare marketing as well as Senior Care for over 13 years. Most recently serves as community relations liaison for Right at Home with focus on growth enhancing strategies within the arena of providing outstanding compassionate care to adults and seniors through education, outreach and the coordination of referrals and care in the home environments or through facilitation of seamless transitions going from hospital or rehab to home. She holds a Bachelors Degree in Nursing from the University of Massachusetts. Emily is involved with many local area provider networking groups including the Greater Concord Provider Group, Nashoba Networking, and the Bedford Chamber of Commerce. She is also a member of the Armenian Women's Welfare Association, a nonprofit service organization dedicated to improving the lives of Armenian community through aid, relief and education, and has also been part of the publicity team for the Concord Players. Emily, a dear friend of Salma’s, is passionate about Clovers mission in supporting and encouraging the precious youth of Uganda. Her young daughter, Gianna, is also enthusiastic about helping the children of Uganda. Advisory Council members act as extension of the Board of Directors of the Clover Foundation by helping to carry out its mission and strategic vision. Michael Epstein has been practicing law in the U.S. for over 25 years with an emphasis on real estate and corporate law. He has significant experience in international transactions and corporate governance matters and is currently a Senior Vice President at Harvard Management Company in Boston, Massachusetts. As an active community volunteer, he has been on the Planning Board in his home town of Carlisle, Massachusetts for 18 years and has recently joined Communities for Restorative Justice, "a process to involve, to the extent possible, those who have a stake in an offense and to collectively identify and address harms, needs and obligations, in order to heal and put things right as possible." Claudia Nimar, a community activist and theater lover, is Board Chair, of the Cape Cod Theatre Project, trustee of the Unitarian Universalist Urban Ministries, Roxbury MA, trustee of Penikese Island School in Woods Hole, Massachusetts, and founder 1 Giant StepUp.org. She is also Vice President, Sales and Marketing and co-owner, at Pyramid Technology Services in Maynard, Massachusetts. Claudia shares her week between her commercial responsibilities and organizational work living between Cambridge and Falmouth. Married to Joel Nimar, they have two 2 grown children. Claudia has also produced several community theatre and school performances and served as president of The Concord Youth Theatre for many years. She beekeeps on the Cape and is learning the violin. A graduate of the University of Rhode Island, Claudia"s real passion is to help people get started! Bugembe Ahmed Jamal, holds a law degree, and is currently employed by Sebanja-Malende Advocates, as an Associate Partner. He is also certified in gender training, networking and communication training, and is a trainee in Policy and Advocacy by United Nations Population Fund. Jamal a Legal Consultant of Islamic Court on Pro Bono at the Uganda Muslim Supreme Council and a lecturer of business law at Kampala University. He is also part of the legal team working with Ministry of Health and World Health Organization in streamlining the laws pertaining to male involvement in gender, sexual and reproductive health rights. Additionally, Jamal has conducted research and data analysis on gender-based violence in the Muslim community and has been on radio programs speaking to sexual and reproductive health rights among youth. By working in support of Clover's programming in a variety of ways, the Young People's Outreach Team members are critical to the Clover Foundation's success in achieving its mission. Anna, a senior at Wellesley High School in Massachusetts, learned from the Clover Toy Project and readily asked to become involved. She embraced the opportunity to combine recycling with helping poor young children living in poverty and gathered the support of the town recycling center, town families and friends, to make a substantial contribution. Anna created a blog to document and share the progress of the the Wellesley efforts to assist the Clover Toy Project. Anna was captain of her swim team and works as a lifeguard in the summer. She will attend college in the fall. Akram, a 13-year-old, is a star in football and is a rising one in basketball. He enjoys reading and drawing. He is outgoing and friendly by nature, a character that earns him lots of friends. He was born in Uganda and being the first born of four boys, he ultimately learned to share, which is why he came up with the idea of giving their old toys away to the poor children of Uganda. One of his wishes is to see Clover Foundation grow to higher horizons. He is hard working and very good at fixing and building things around the house. Axum, an 11-year-old, is easy going and loves adventure. He is an athlete and his favorite sport is basketball. He enjoys reading action publications. Axum is competitive and strives to get high grades. He shows interest in singing and acting. Having spent his first six years in Uganda, he witnessed first-hand poverty. After coming to the U.S, he counts himself one of the lucky children. That’s why he feels sympathy for the poor children in Uganda and wishes to help them in his capability by raising awareness and networking for Clover Foundation.